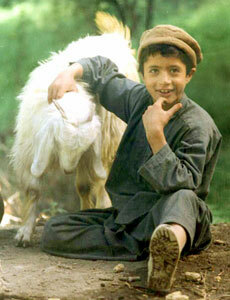 Hindu Kush Conservation Association | Helping the needs of the Kalash people and their environment. The Kalash people, or Kalasha as they are generally called, live in three remote valleys in the North-Western province of Pakistan, close to the Afghan border. HKCA (Hindu Kush Conservation Association) is a British Charity (Charity number 1063232) to help the needs of the Kalash and their environment. To preserve and conserve the indigenous group ‘The Kalasha’ their culture and to preserve the environment. To provide the medical facilities and improve the quality of life of the people through health awareness raising campaign. To engage in capacity building of the local people to generate income within the valleys. To seek the registration of the area to become an organic zone and biosphere. Since their inception both have been involved in various activities in the Kalash Valleys from small beginnings with a Medical Project which has now been expanded to health and sanitation projects, tourism and preservation of the old buildings in the valleys to the formation of young Women’s society in Birir regarding health education and awareness. They were instrumental in bringing the first TB Training Scheme to Chitral, including the opening of a TB Testing Clinic at Shidi.